My love for peanut butter is not right. I have withdrawals from p-nut butter if I don’t have a taste of it everyday. Yup, I just said everyday! I try to keep it healthy and in moderation. Like, I will make cookies with it, put it on my english muffin in the morning, make a great Thai p-nut sauce with it, and then there is THE PIE. Oops, this is variation not moderation. Cookies, pie and Thai food are all healthy right?! 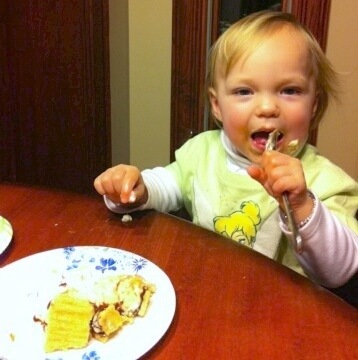 And hey, my english muffin is wheat…..I know you’re not convince and quite frankly, I’m not either. But, I just can’t quit my peanut butter! When I was prego with Rudy I ate all but 6 cookies in a package of Nutter Butters! Gosh, that’s so wrong I know, but I was out of control at that moment, the cold milk…the perfectly shaped peanut cookie, (dunked for exactly 4 seconds), take a bite then flip the cookie and dunk again. See, that is such a simple process, you can see how this can happen, right? Please don’t leave me hanging, someone say yes! Ok, on to the pie! 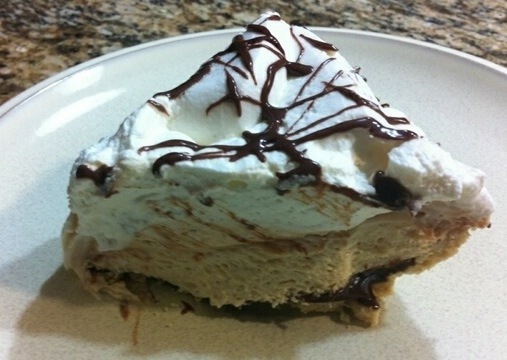 This peanut butter pie will satisfy anybody and everybody’s p-nut butter craving and it is so quick to throw together. You can add different flavor variations in this pie. For instance, everyones favorite combo, “chocolate & peanut butter”, or for the person who loves the classic flavor of PB&J. My father named this pie after he had his first bite made by my mom (Nellie). That’s when dad proclaimed this pie as, “Peanut Butter Surprise Pie.” He loves a very thin layer of jam slathered on the crust. Gather ingredients. I never make this pie with crunchy p-nut butter. 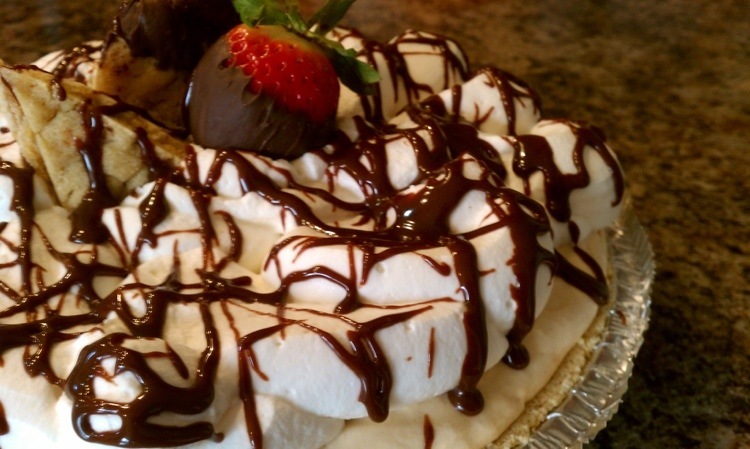 You can add the crunch if that is your flavor, but I prefer this pie silky smooth. 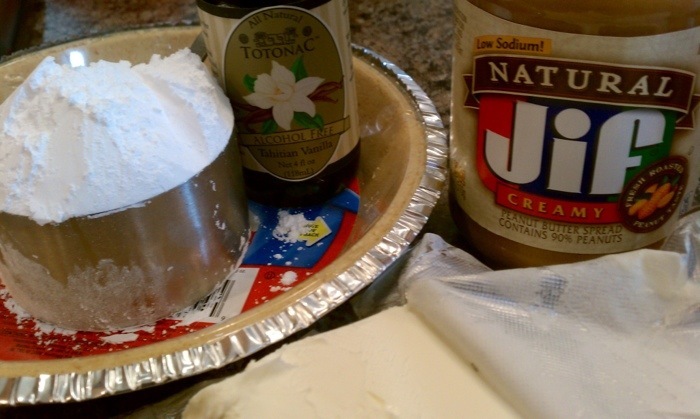 Start with having the cream cheese at room temperature, this will help ensure a smooth pie filling. This is what the filling looks like before the Cool Whip topping is added. Refrain yourself from taking a spoonful at this point still! Now gently fold in the Cool Whip. Don’t beat or whisk, FOLD GENTLY! 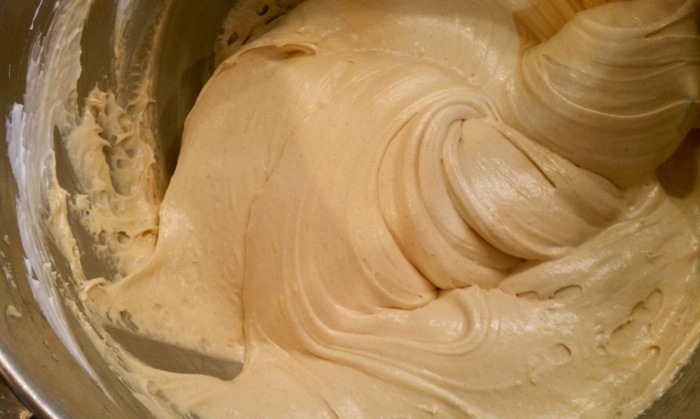 Keep folding until it looks like this…a perfectly smooth heavenly mousse. Now take a spoonful! Before pouring the filling into the pre-made store bought graham cracker crust (or I prefer the shortbread crust) evenly spread on the bottom of the crust your favorite p-nut butter combo. 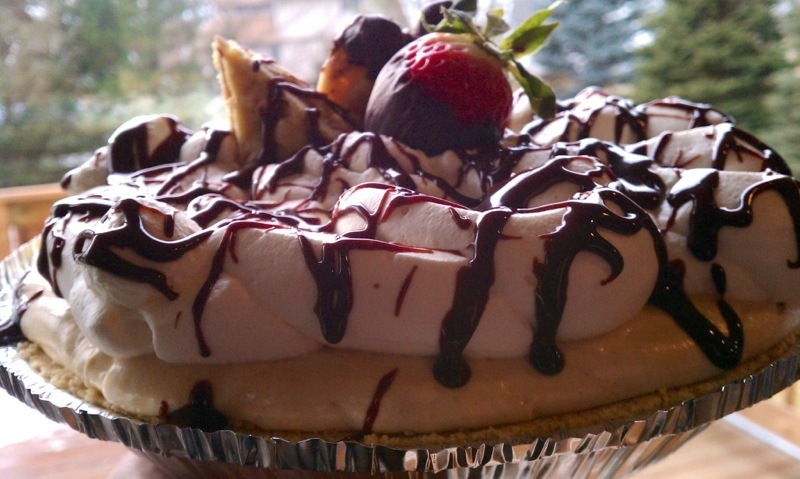 This pie was requested to have chocolate fudge to be its faithful friend. Enjoy! And, HAPPY, HAPPY BIRTHDAY JENIFER! 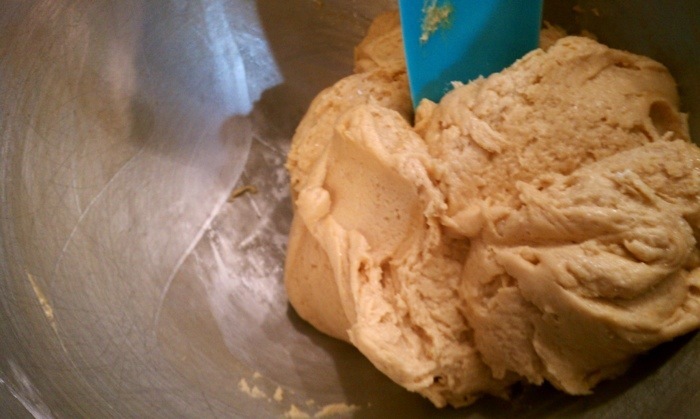 On medium speed blend together until smooth the cream cheese and peanut butter. Scraping down once. Make sure there are no visual lumps of cream cheese or peanut butter. Turn the mixer off and add the powdered sugar and vanilla. Beat on low, so you don’t suffocate yourself with a cloud of powdered sugar. Once the powdered sugar is incorporated them turn the mixer up to medium high speed for about 2 minutes. While that is mixing prepare the crust. Remove the lid and place the flavor of your choice gently on the bottom of the crust. You should only need 1/4 cup of fudge or jam. Set aside. 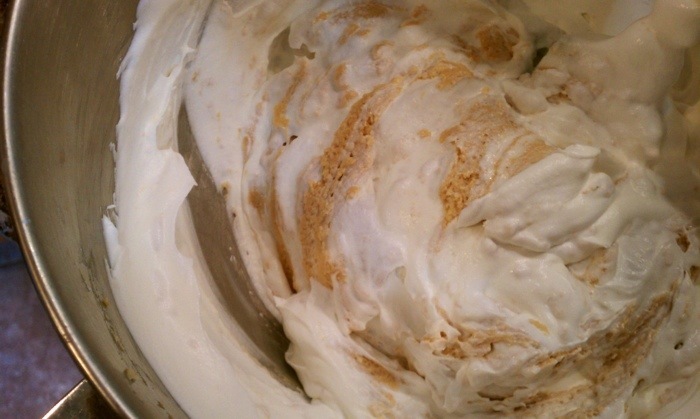 Once the peanut butter cream cheese is blended and nice and creamy, fold in the Cool Whip. Do this gently. You want to keep this nice and airy just like a mousse. 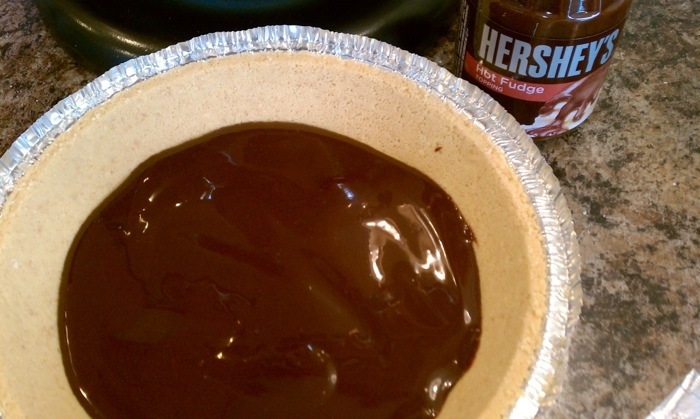 Place the peanut butter filling on top of the prepared pie crust. 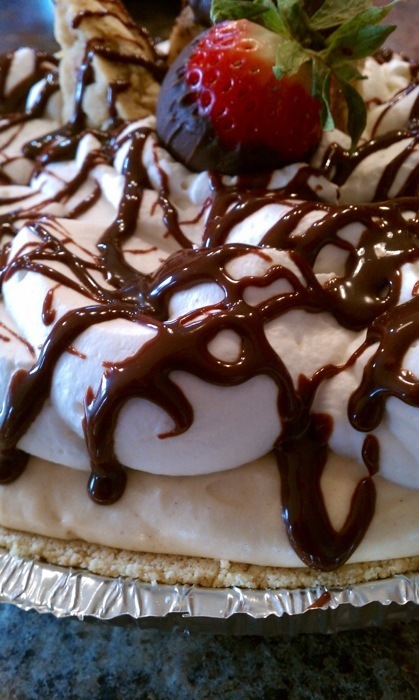 Top with whipped cream and garnish to your liking. Refrigerate for at least 2 hours or over night. Enjoy! Enjoy! ENJOY! Thank you Tahny for putting this together for me on short notice! 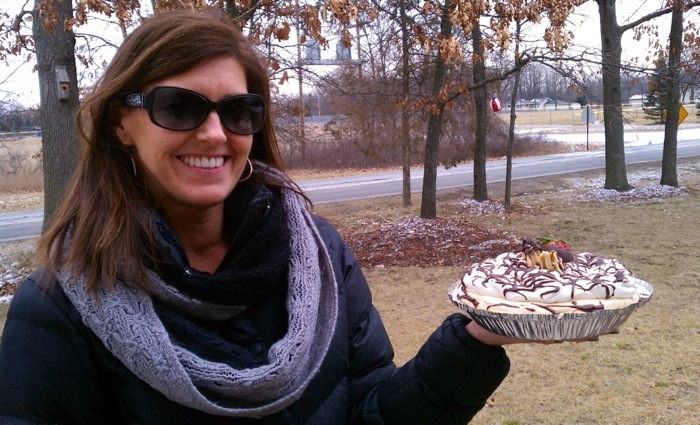 Peanut butter pie is always what Jenifer orders when we go out to eat- so I knew your homemade fresh pie would far surpass any birthday cake! Thanks again- we ALL loved it! Omgosh! Thank you! I’m so excited!! Now I need some serious brain power to think and answer these questions! This is my project today now! Forget the laundry…. “Ms. Sweet tooth” I like that! I can’t imagine my sweet tooth ever leaving me. My husband and my sweet tooth are my two most faithful companions!